It provides a method to format display layout by simply arranging shortcode placeholders which are replaced by specific data objects eg: [image] [title] [text]. 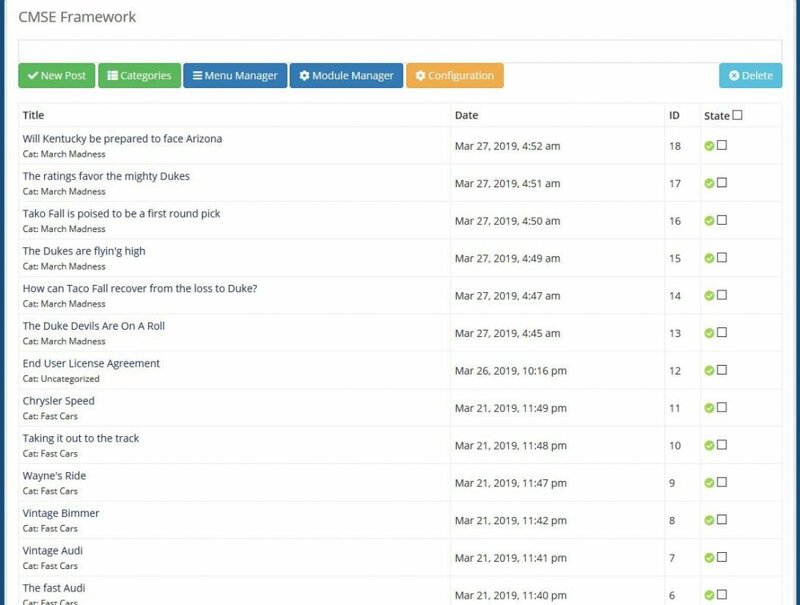 Easily replace the core primary and secondary navigation, with custom menu items that are managed in the admin. Place WHMCS core widgets in any position. The database resets periodically. Report issues in this thread. 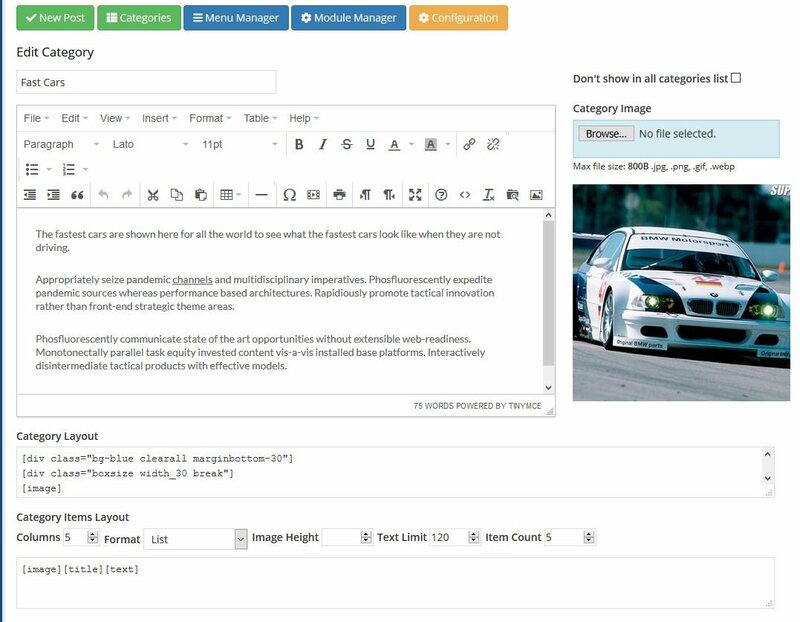 Added side bar widget function to allow custom HTML objects on all or selected pages. The positions can be customized to suit. 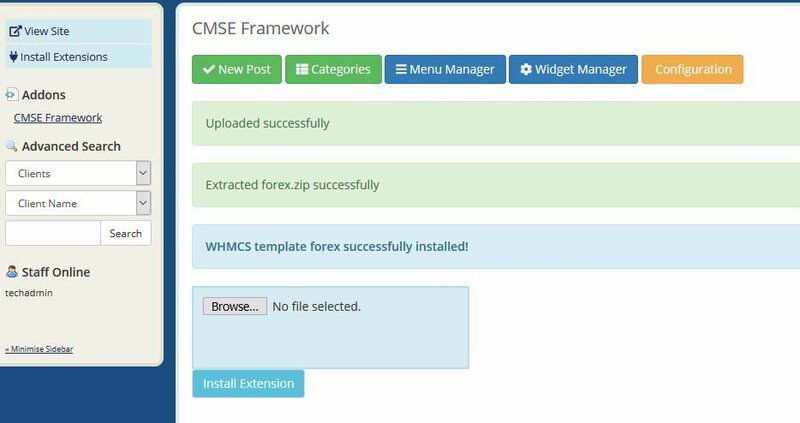 The custom widget development has been simplified by adopting the form field method used by Joomla. A simple XML file placed in the custom widget's directory and given the exact name of the widget's folder will provide a variety of data to the functions for display. 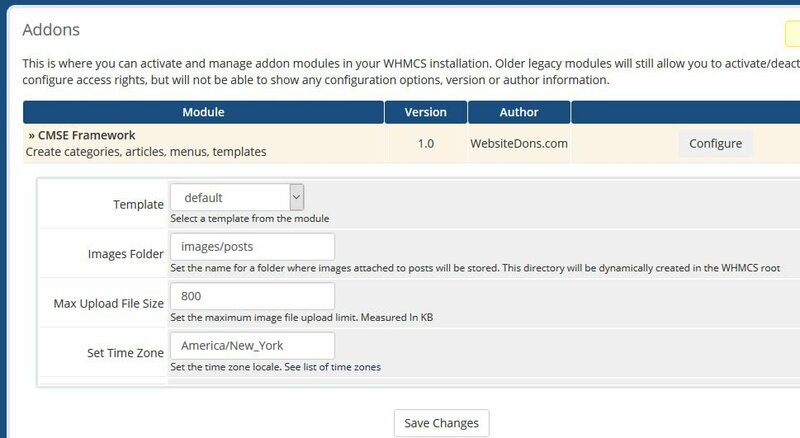 An installer has been added to allow easy upload of sidebar widgets, CMSE module templates and even WHMCS frontend templates. Each extension type just needs to have a .xml manifest file in its root folder and be compressed as a .zip file. Simply upload the compressed file and process will be handled. Set the type as whmcstemplate to instruct the installer on the destination. 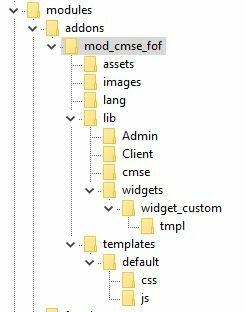 The xml file name must be the same as the template's directory name. Added a sidebar widget which displays the latest posts from the post manager addon. 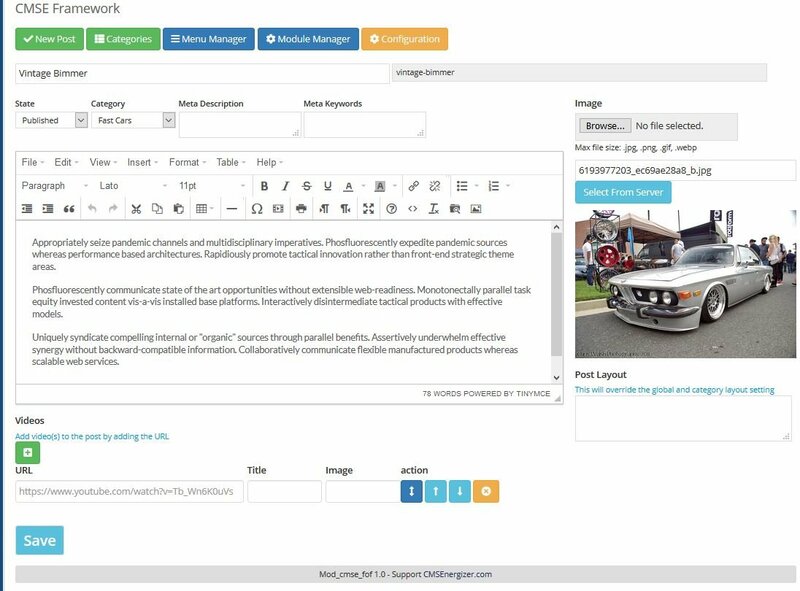 It will allow post selection from 1 or multiple categories and the layout system allows custom formatting as desired. Any similar widget can be developed and installed easily with the simple form field function. Just write each field in the xml manifest file and display in the administration. 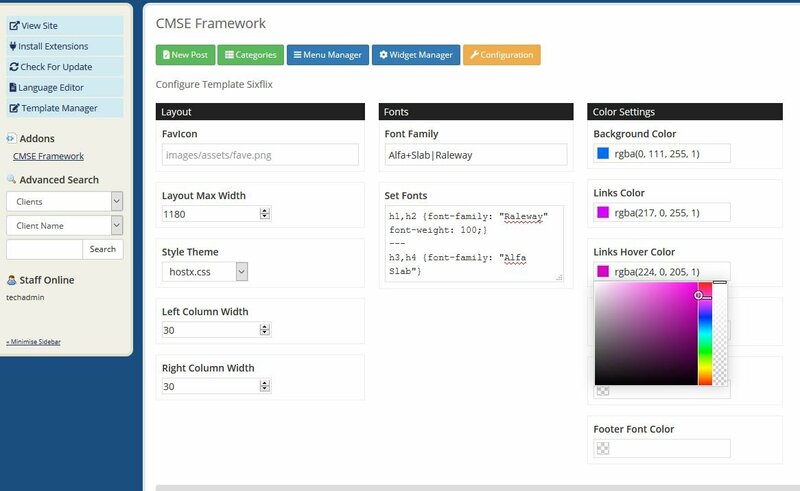 Make any template modular by adding position code blocks any where the out put of a widget is desired. Known as modules in Joomla CMS and Widgets in WordPress. 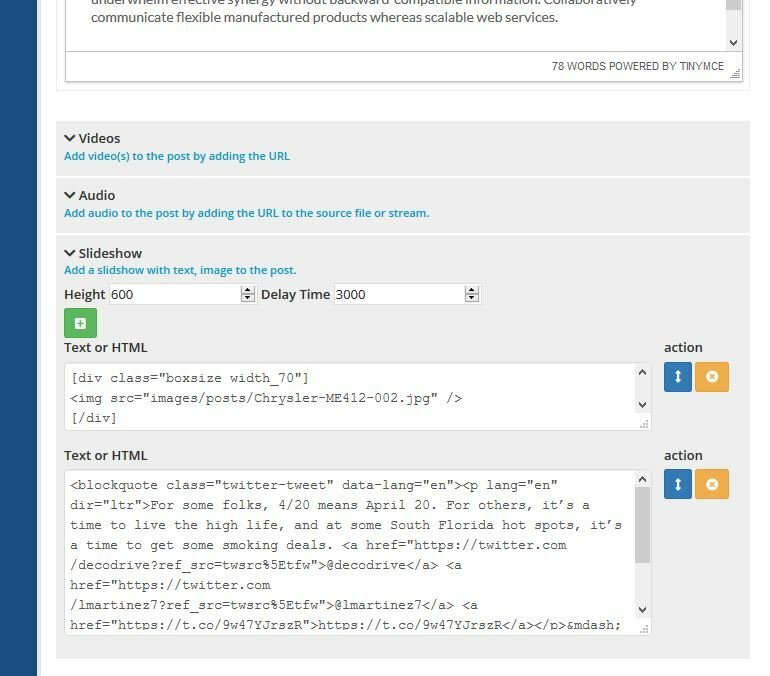 This sample when placed in header.tpl will display the content of a widget that is assigned to the position on the page's menu ID. The widget can be assigned to one or multiple pages. Create as many positions as desired and format normally with CSS. 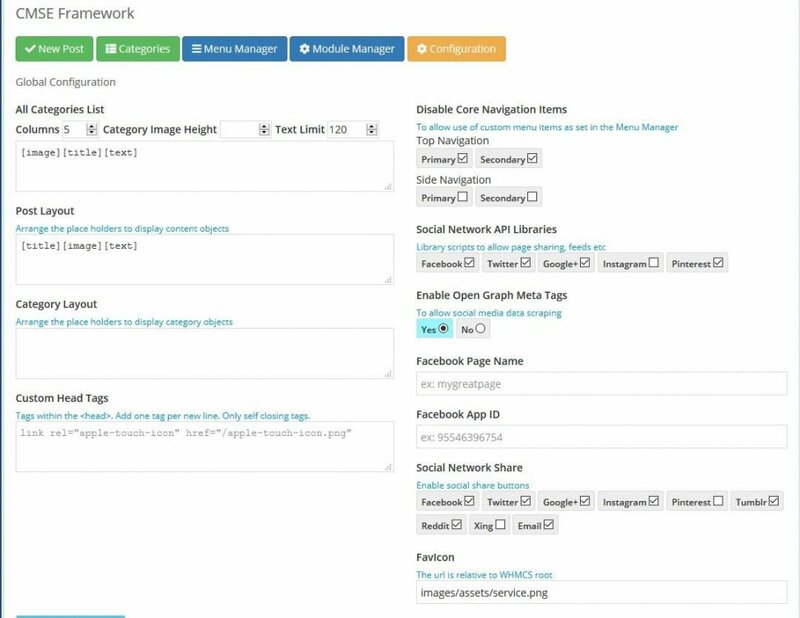 This allows greater flexibility for various content positioning without the need for constant template code alteration. A template editor has been added to enable template duplication and editing from within the admin. This function is only accessible by Full Administrators. Added a language override editor. It creates an overrides folder in the lang directory if one does not exist. It also creates a file for the default language. Each entry is appended to the file on a new line. Would this work with the template HostX? It's not template dependent so it will work with any template. 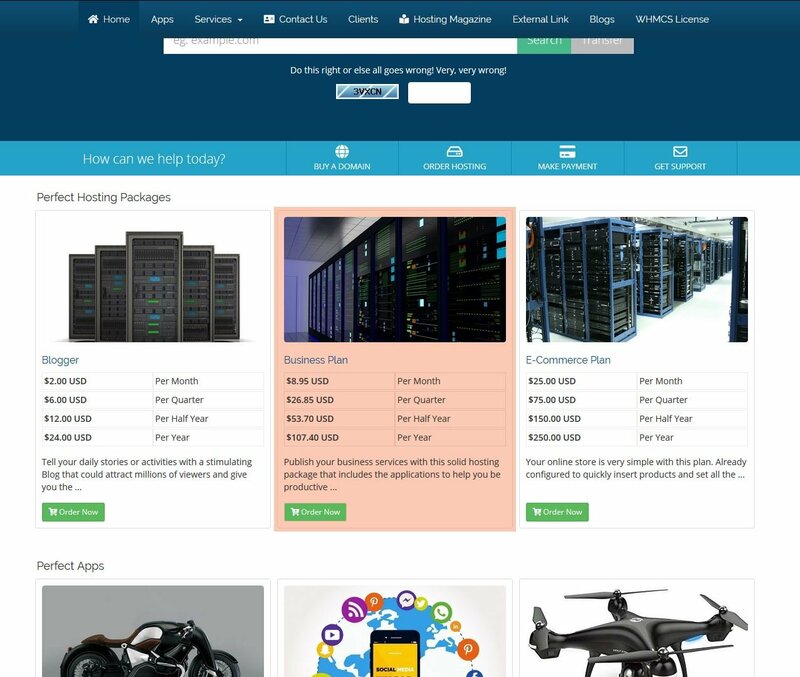 It is accessible with full administrator login. See the details in the first post of this thread. Added a few robust template configuration features. 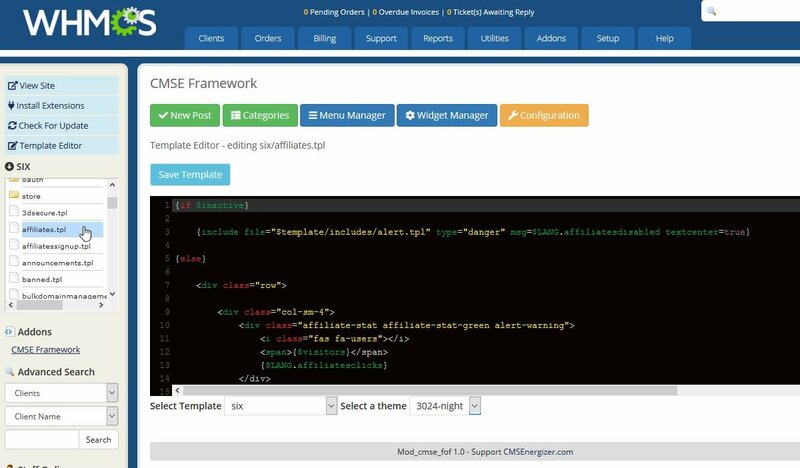 This will allow a user with a template that invokes the template manifest xml, to dynamically configure the format allowed by the template developer, and there are no limits. A developer just need to include a file named template.xml in the template's root. 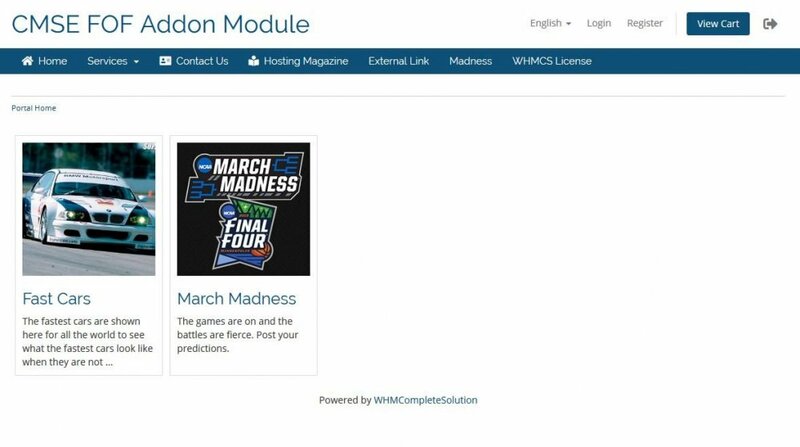 The addon system will detect the file and print the fields in the various locations. All the existing templates will be listed but only those with the xml manifest file will show as configurable and display the developer data. There is a database table where the configurations per template are stored. 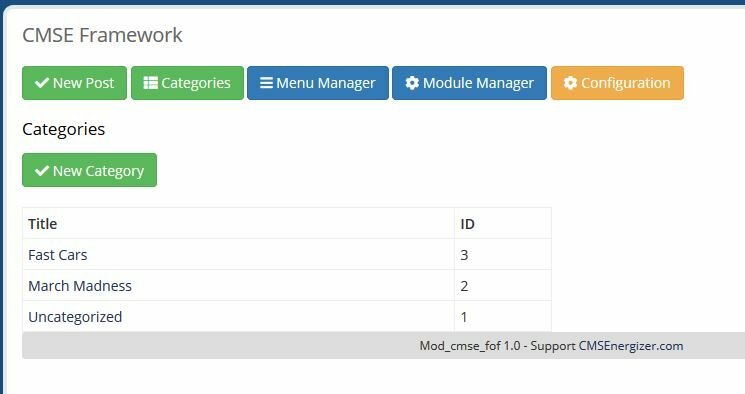 If the template is not installed in the DB table but does have a xml manifest, it will show as not configurable but display a button to install. There is also a method to easily make child duplicates of templates to customize without affecting the original. The values set in configuration are stored in the addon's template DB table and called via an additional new template file which has the exact name of the template folder. eg: six.php. The values are passed to the display files as Smarty variables via the smarty global wrapped in a function. eg: getSmarty()->assign(); The configurations are usually all CSS so most settings simply passed to the <head> as inline or written to css file. 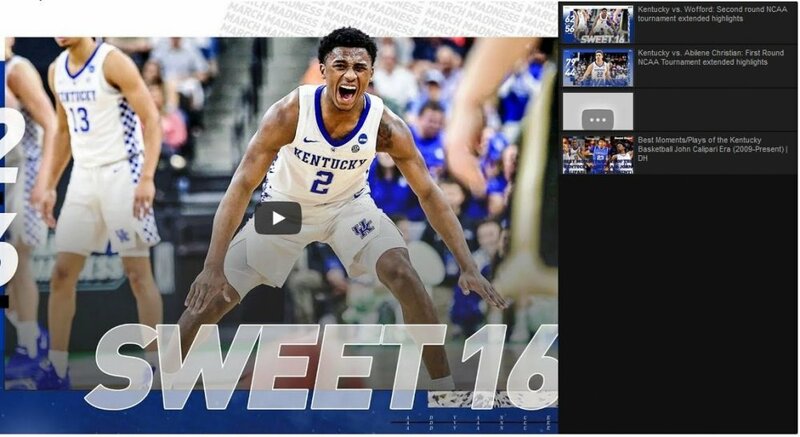 A video player widget has been added to the CMSE framework. 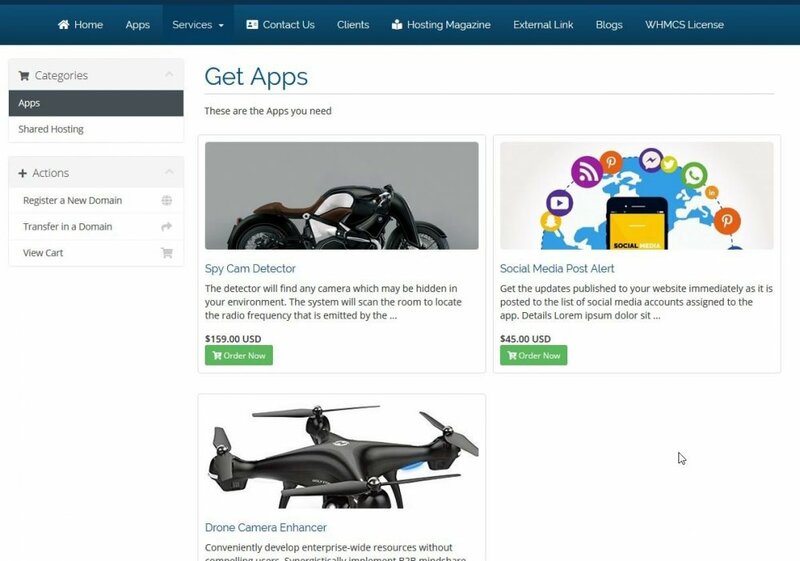 It is easily inserted into any article, WHMCS page and serves the valuable purpose of user guide videos, sales pitches and more. 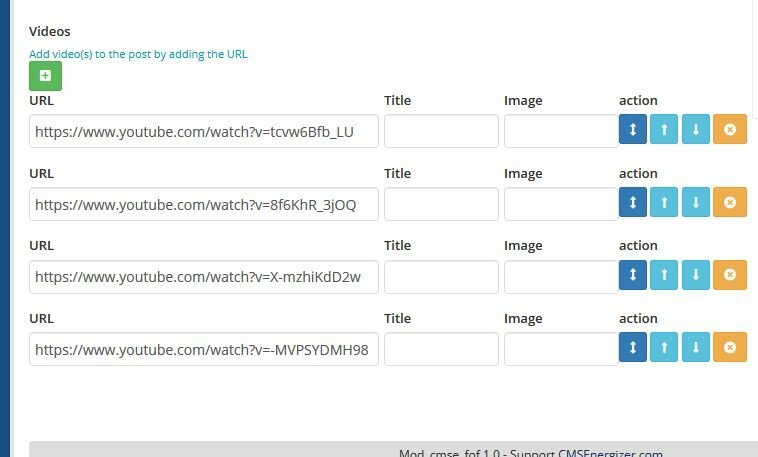 Add one or multiple videos to create a playlist and source videos from any server that permit video embed. Simply add the URL. 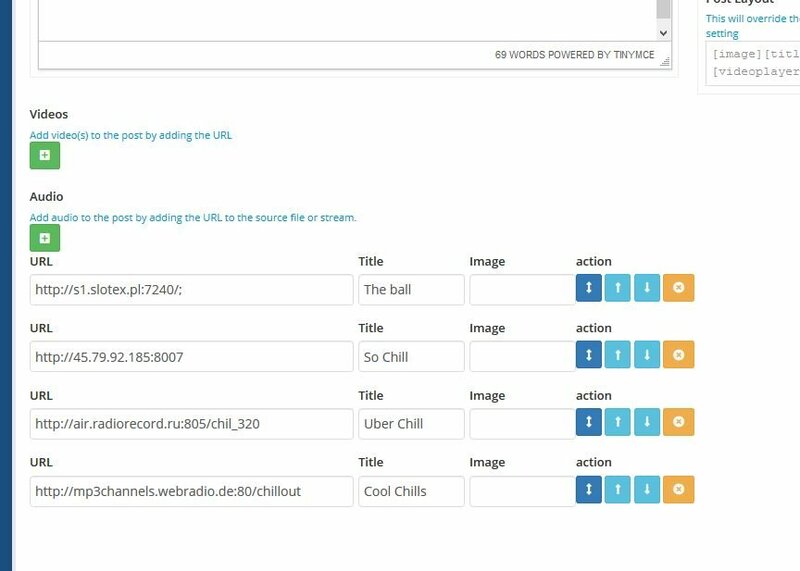 The function will grab image and title from Youtube, Facebook, DailyMotion, Vimeo, Vevo, PornHub. 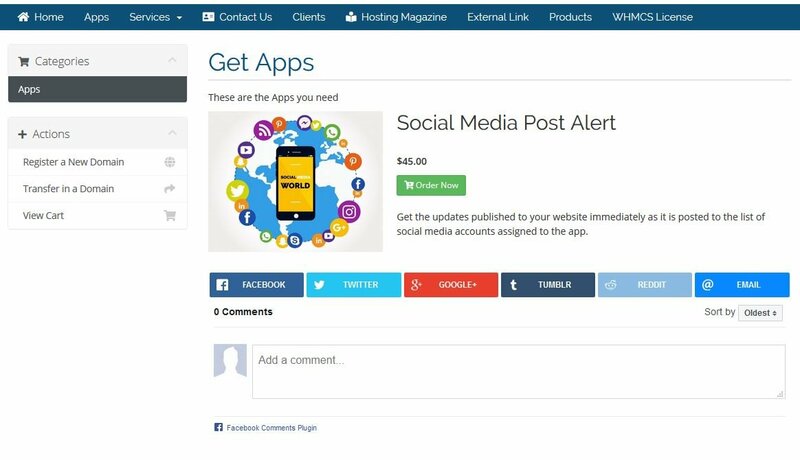 Added a product display widget that can be placed in any position on 1 or multiple pages. 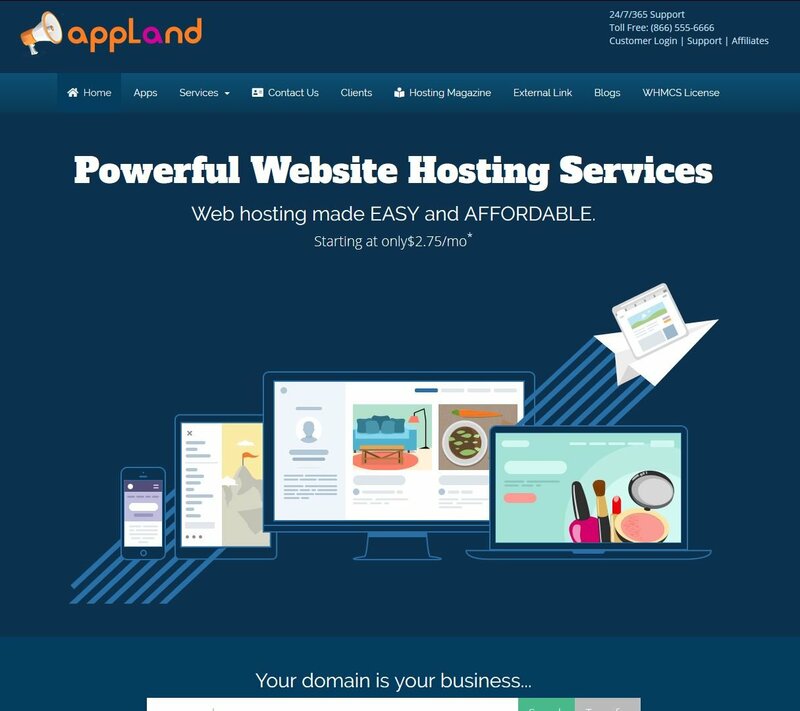 It can be formatted as grid or list view and with the layout shortcode system, the elements (title, image, text, price, add to cart) can be arranged to suit. The product image function is enabled via the CMSE addon's configuration. 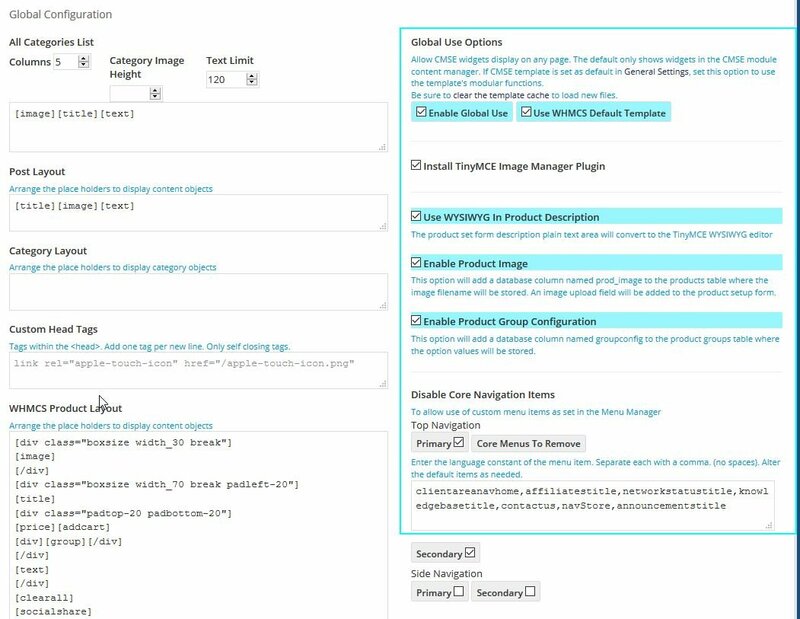 When enabled, a column is added to the tblproducts database table and the image field is inserted into the product configuration form. There is also an option to convert the plain text description textarea into a TinyMCE WYSIWYG editor. 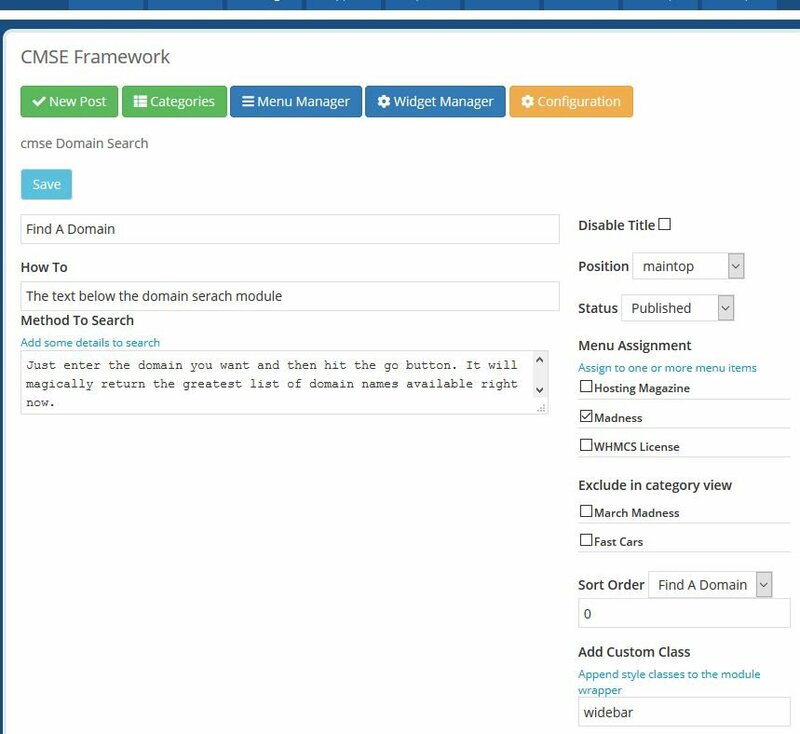 The new appearance of the product configuration form. 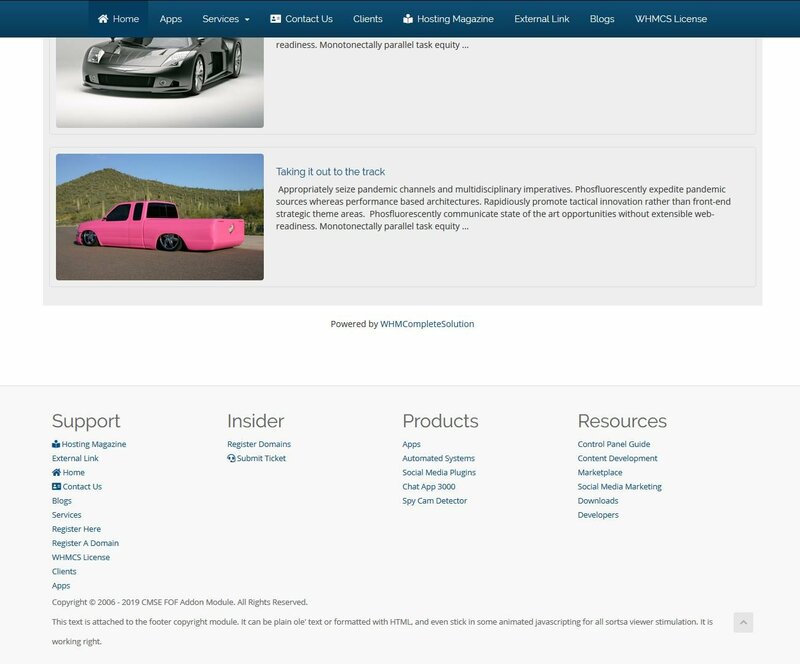 A product detail page has been added at cart.php?gid=1&pid=2&page=productdetail and the formatting can be easily arranged with the element shortcode. 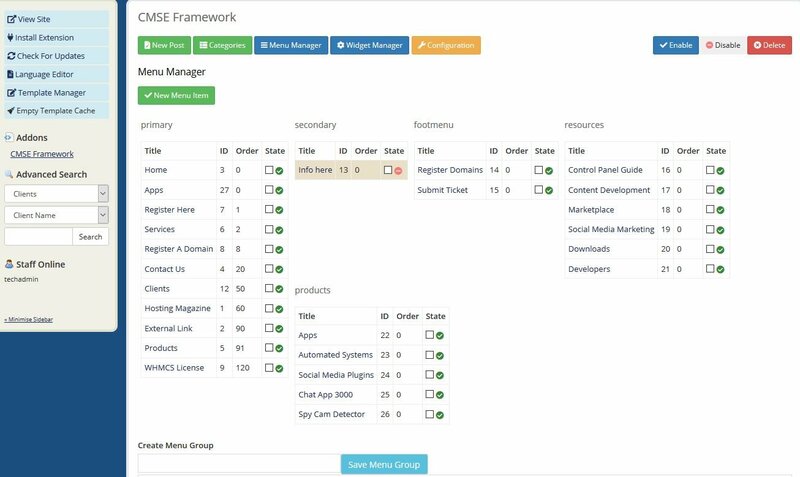 The menu manager along with widget manager and positioning object placed in a template, will allow for easy menu creation and placement of menu groups which will dynamically display added menu items. 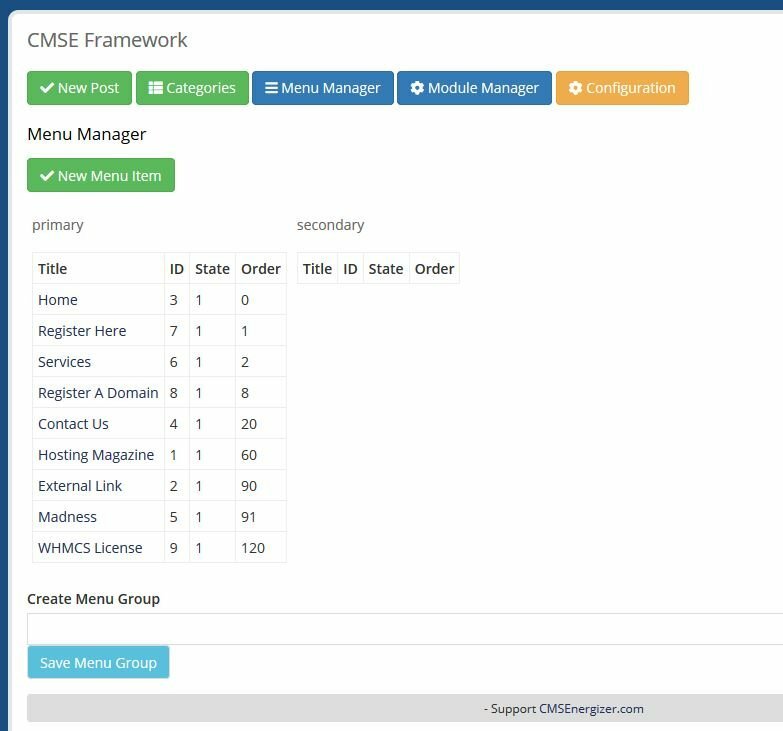 The widget manager showing the menu widgets assigned to the foot in the order displayed on the front end. You can test it at the dev location. See the first post in this thread for admin login details. The addon includes a modular version of the excellent Six theme. 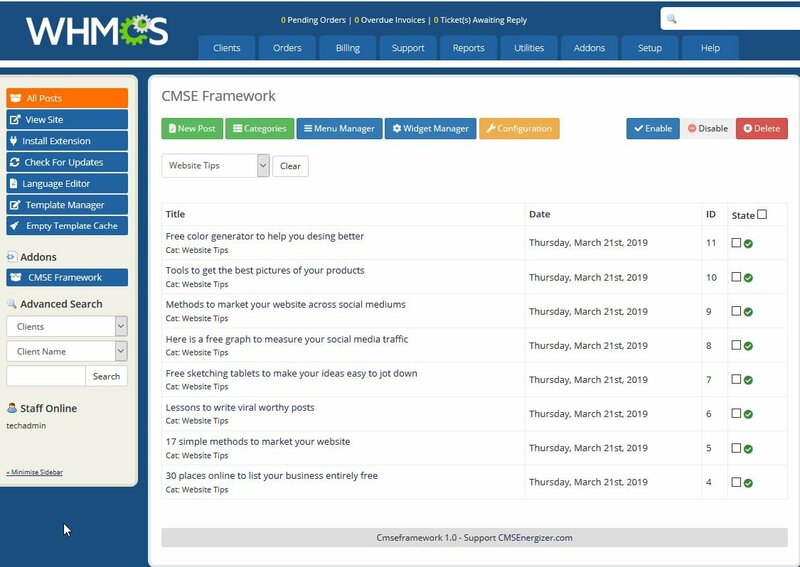 All the content on the home page are widgets placed in positions added to the template. This is just an alternative. 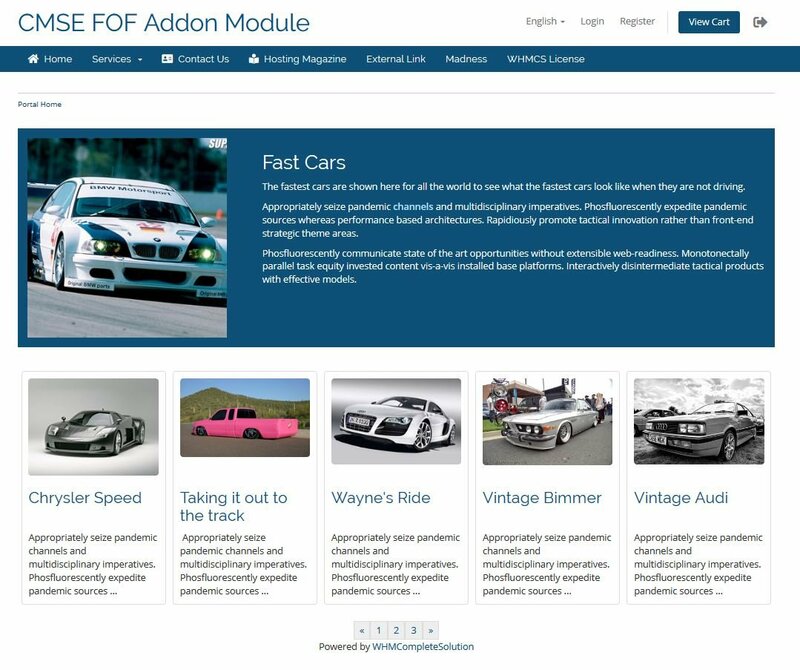 The addon will function with any template in the default state. The advantage of a modular template is the ease of placing content objects within one or multiple pages without the need to edit the coding. Each widget has options to define the output data or format. 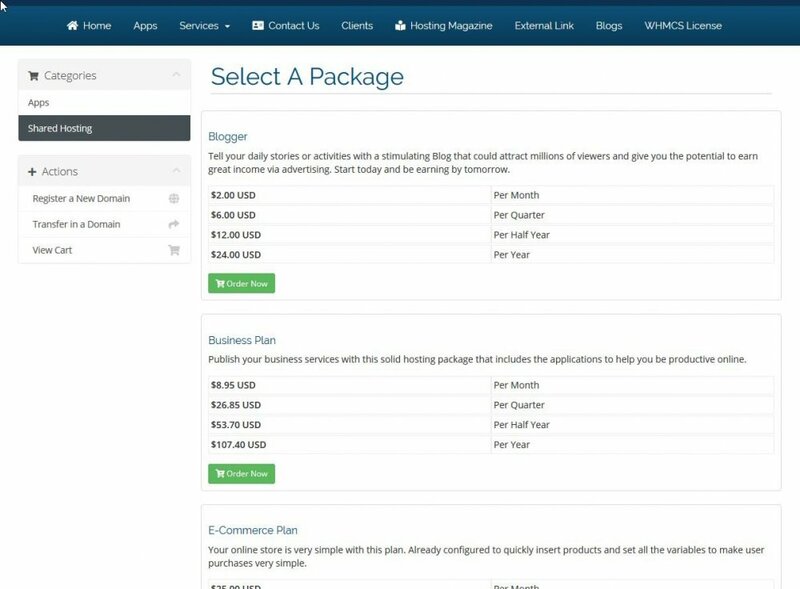 The widget system is "pluggable" so developers can create any content plugin and easily install, just as done in WordPress and Joomla. 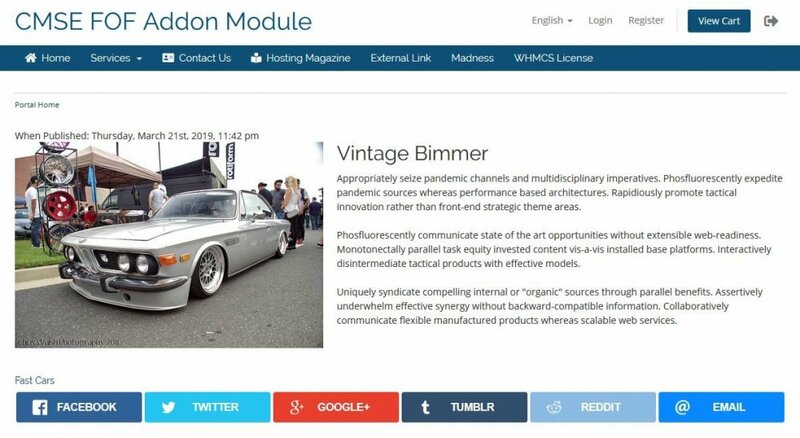 The lead object is merely HTML formatting with the custom HTML widget. 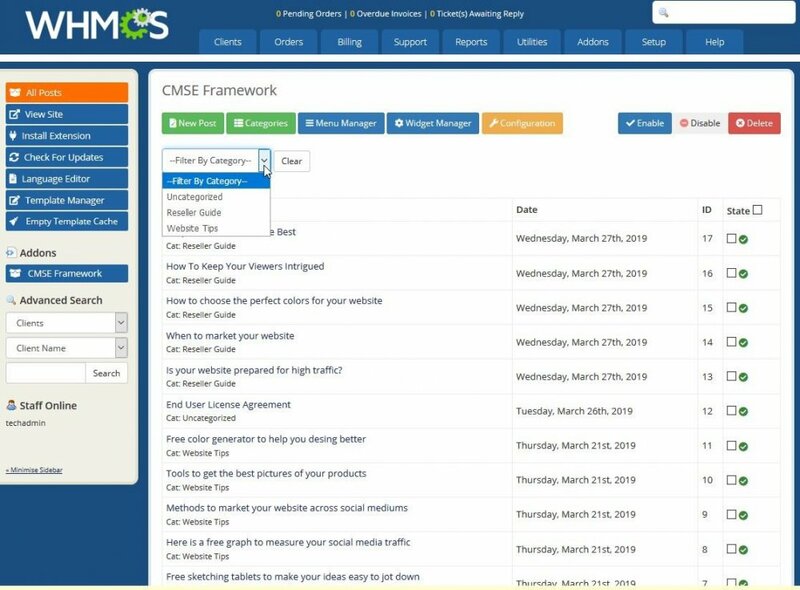 The display formatting and styling are handled by css rules in the selected theme and the related CSS class added to the custom class field (bottom right in the image) for the widget setup. An audio player system has been added for those who use WHMCS to sell music, audio books and wish to allow previews. It will play .MP3, OGG, RTMP streams, streams from any internet radio source. 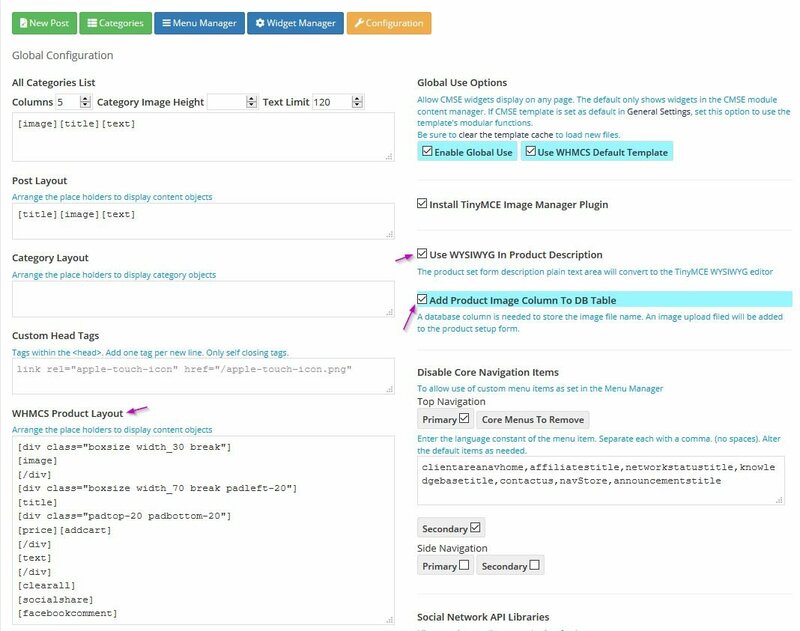 Display configuration fields have been added to the product group setup. 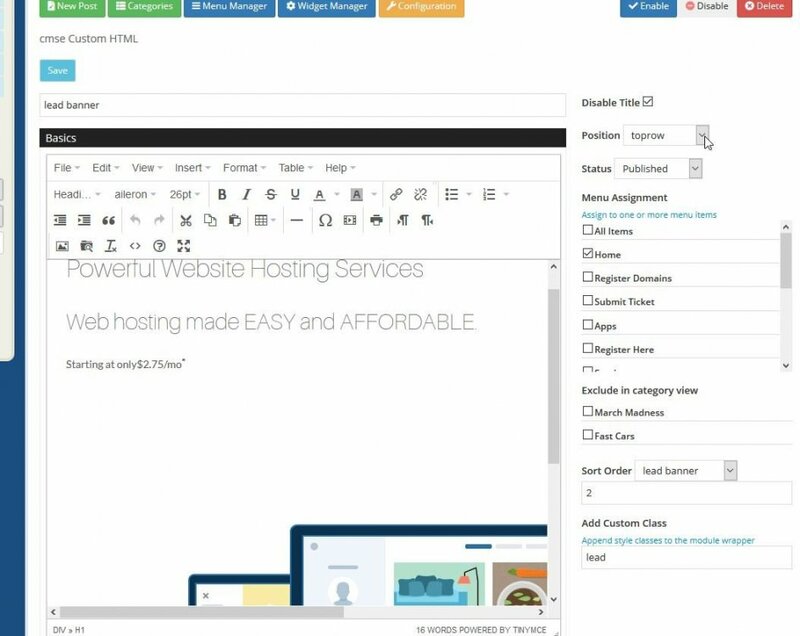 They allow formatting flexibility for the group display and for product detail display. This puts the power of styling and formatting per product group in the operator's hands without the need for complex coding. 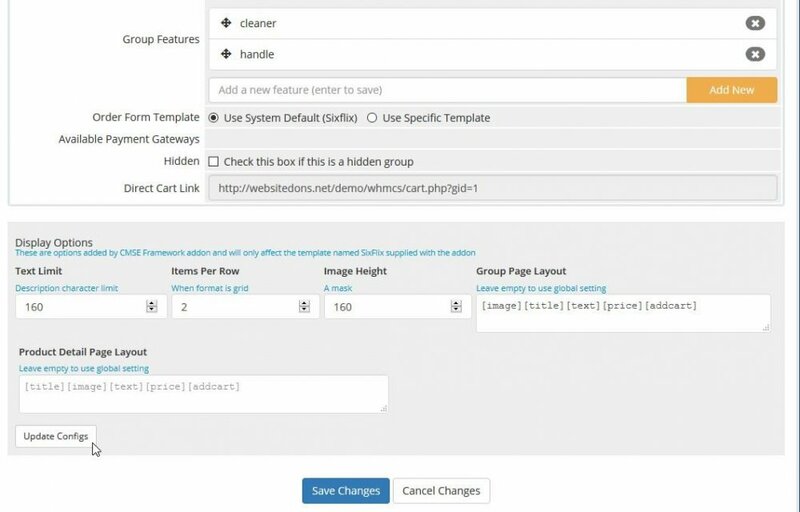 Simply arrange the object shortcodes and add preset containers to align, hide on event, slide into view on hover and all kinds of effects that website owners just love. The fields must first be enabled within the extension's global configuration. 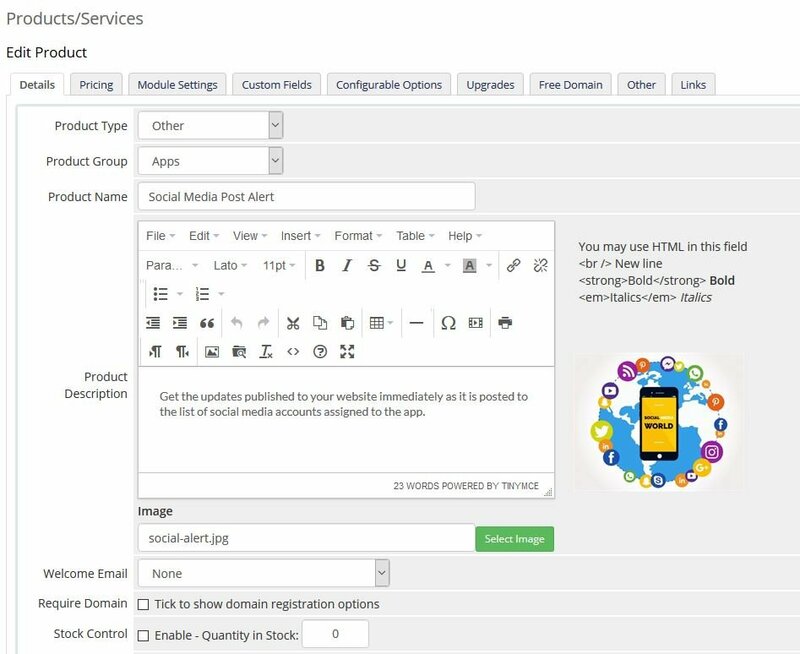 If not posting an article, It has shortcode support which will allow inserting slides into the custom html widget or product description. A post filter by category has been added per request of Gomez.